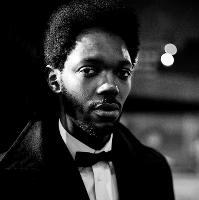 Baloji, former MC of Starflam, is a Belgian rapper with Congolese roots. Born in Lubumbashi in 1978, he lived in Kinshasa, Ostende and Liège where he started his careers. After leaving Starflam in 2004, he decided to leave the music business for good. After 25 years without any contact, he received a letter from his mother. As they spoke on the phone she asked him what he had done in all those years. After a lot of reflexion he finally answered and produced a biographic album titled Hotel Impala (2007). In 2010 he released Kinshasa Succursale. www.baloji.com Read more on Last.fm. User-contributed text is available under the Creative Commons By-SA License; additional terms may apply. Do you promote/manage Baloji? Login to our free Promotion Centre to update these details.